Weekly Rate (7 Nights) is $1,989.00, Saturday to Saturday, Daily Rate with a 4 Night minimum is $325.00 per Night. This is truly a magical Beach Cottage and the quintessential beach experience in Santa Cruz. It includes a full boat of amenities right down to the boogie boards, bicycles, beach chairs, beach towels and umbrellas. The Cottage with its expansive Open Ocean and Beach View, sits above the shores of Moran Lagoon. Just a skip and a jump from main beaches, yet tucked away just enough for privacy. Wake up to the sounds of waves breaking. Have your first cup of coffee looking across a tree-lined lagoon to the Pacific Ocean. Walk down to the sandy beach on a paved and safe path for a swim. Then return home to warm up in the hot tub in your own private yard. Nestled in trees next to Moran Lagoon, this home is truly one of a kind. 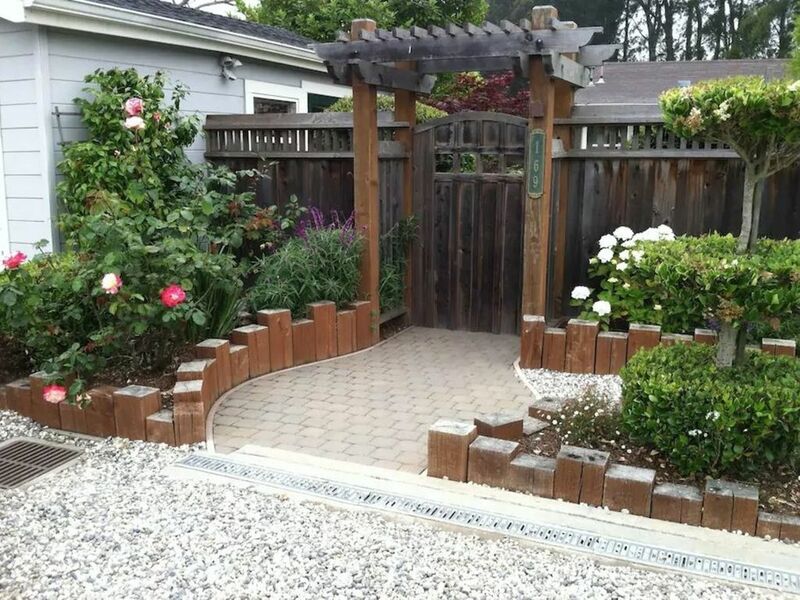 The property has the feel of a private park, yet you're within easy walking distance to shops, movie theaters, Capitola Village, and even a shopping mall. Stroll down the scenic East Cliff bike way. Watch surfers at world famous Pleasure Point. Our house is small and cozy. The yard is large and private. 940+ total square feet. The extraordinary setting makes this home stand out from all the rest. The views are magical. We have kept our low rates for 8 Summers now, in light of of the current economy. This is a beloved private home and is used as a rental only in the summer months. The Cottage is well suited for both families and adults. Location, Location, with views like you have never seen before. The beach is a few steps away, with world renowned surfing spots with in walking distance. On the Eastcliff bike and walking path to Capitola Beach, you will pass the home of the late Jack O'Neil, known as the amazing inventor of the wet suit designed here in Santa Cruz. The Cottage is very private and tucked in to the natural settings. Private fenced and gated yard with mature landscaping, hot tub and a detached Garden room that sleeps two with a lot of light, with views of the lovely garden. When you stay here you have the pleasure of seeing two water sources, Moran Lagoon, and the exquisite Pacific Ocean right outside the back door of the Beach Cottage. One Bathroom with a stall shower, toilet, sink. All linens, towels, shampoo and hand soap included. Lagoon in rear of home. Cottage is supplied with salt, pepper, spices, sugar and cooking oil. Deck of cards and board games. Garden is maintained weekly by a professional gardener. Small back porch, with sitting couch viewing Moran Lagoon and 26th Street Beach. Umbrella, chairs, picnic table, couches, side tables, in enclosed private courtyard. Hot Tub is maintained weekly by a professional Spa Maintenance Company. Iron and ironing board, blender, large pot for lobster/soups/corn, spices, salt and pepper 2 Bikes, boogie boards, beach towels, beach chairs and beach umbrellas. All you need for that fun in the sun! Perfect location, outstanding view, so peaceful, a couple minute walk to the water, short walk/bike ride to shops and restaurants. This is a wonderful location for spending time at the beach and the view from the kitchen table and the porch is fantastic. However, the bedrooms smelled like the last people just left and the shower is extremely small and old needs to be replaced. Just like to say that staying at this property was pleasant and what we wished for. Very clean, great location and comfortable. Kitchen was fully equipped, beds were comfortable and the neighborhood was polite and easy going. One of the best features is having access to a hut tub after hanging out at the beach. Thank you for letting us stay at your place and we look forward to future dates. Perfect get away at the ocean. Peaceful, quaint, and had all the amenities our family could want for a week of beach fun and relaxing. A true gem. Fantastic hosts. The location is perfect for riding bikes, taking walks, or just staying in and soaking up the surroundings. Couldn't have asked for more. Thank you. We have stayed at many rental houses in Santa Cruz over the years, and this ranks at the top. Although it is farther from our favorite beaches than some other places we've been, the location on the lagoon can't be beat, with lots of sun both in back, where you have a view of the lagoon and the ocean, and in the lovely private front yard, which is full of flowers and hummingbirds. The house, while small, is nicely appointed, particularly the kitchen, and the views from the kitchen and dining table of the lagoon and the ocean. The separate mini-house (converted garage) can also serve as a bedroom and/or a study. Overall, this was a superb choice, and we'd stay here again for sure. Clean and Fun with easy access to the beach! This place is a favorite of my family's! We have just spent our 3rd year here and love it. The jacuzzi is perfect for warming up after a dip in the sea. It is also a close walk to the shops/cafes in Pleasure Point. We have loved having you and your sweet family come to the Cottage these past few years. It would be such a pleasure to have you return in the future. Have a wonderful fall, winter and spring. World Class Surfing, and great beaches just steps from the Beach Cottage. The must see, Santa Cruz Beach Boardwalk is just 2.9 miles away. Cruise the Pacific Garden Mall in downtown Santa Cruz with it's amazing shopping, and spectacular restaurants. You can bike or walk from the Beach Cottage to Capitola Village, on a beautifully paved path along the ocean. Great restaurants and coffee houses within walking distance. Kayaking, paddle boarding, sailing and fabulous restaurants at the nearby Santa Cruz Harbor. Visit our wonderful museums, including the Museum of Art and History, Santa Cruz Museum of Natural History, Santa Cruz Surfing Museum, and the Monterey Bay National Marine Sanctuary Exploration Center. You also have the amazing Monterey Bay Aquarium just 45 minutes down the road. So much fun in the hood, and surrounding neighborhoods to keep you busy all week. Please note, you can pay online, or by Cashiers Checks. All payments are to be written to Lawrence Friedman. He is an additional owner of the Cottage. Cashiers checks are to be mailed to , 169 Moran Way, Santa Cruz, CA 95062. If you choose to cancel your reservation, there will be a $200.00 Administrative Fee deducted from your previous payment/payments.